It's all about two things: Jewelry and Family. 70 year old, third generation, family owned and operated jewelry store? What motivates someone to choose a certain career? What motivated Jules Dostie to become a jeweler? It began for Jules Dostie when he entered the army in 1943. While enlisting, on his application he noted that one of his hobbies was repairing “Baby Ben” alarm clocks; dismantling then reassembling them. It was this simple notation that prompted his induction into the army’s watch department. At the time, long before the digital age, mechanical watches and clocks were the only type available and accurate time pieces were critical to the army’s operations. After the service, in 1947 Jules began work at a prestigious watch shop in Auburn, Wills & Hicks. He worked hard for two weeks then quit to open his own shop. 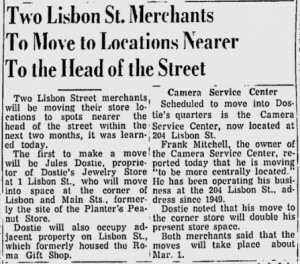 After borrowing four hundred dollars from some of his Canadian relatives and finding a small location in downtown Lewiston, J. Dostie Jewelers was born. The business was small, operated by Jules and his wife Yvette but quickly grew and developed a reputation for the quality of service and professionalism that they offered. 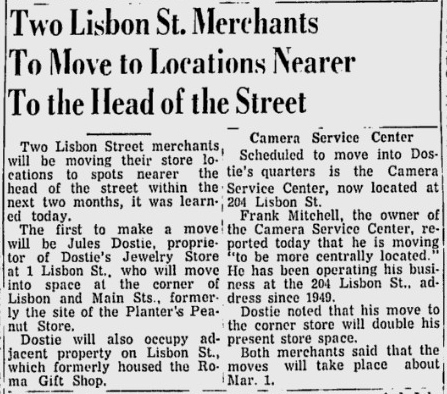 In the 1964 they moved to the location where they would continue to grow into a local landmark in Lewiston’s downtown, 4 Lisbon street, where J. Dostie Jewelers remains today. 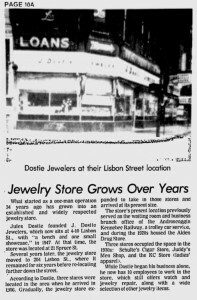 In 1977 Daniel Dostie began working for his father Jules doing jewelry repair. For many years he trained and developed his skills as a designer and jewelry technician. 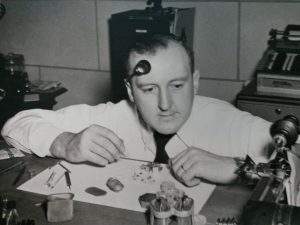 Over the years he gradually increased his knowledge as a jewelry professional; Completing his Diamond Grading and Evaluation through The Gemological Institute Of America (GIA) in 1981, receiving his title of Registered Jeweler in 1982 and his title of Certified Gemologist Appraiser through The American Gem Society in 1987. Purchasing the business from his father in 1989, he has continued the tradition of quality service and jewelry education. In 2003 Daniel introduced his son, Michael Dostie to the family business. Apprenticing under the guidance of his father for three years, Michael steadily learned and developed the skills to repair, design, and fabricate fine jewelry. 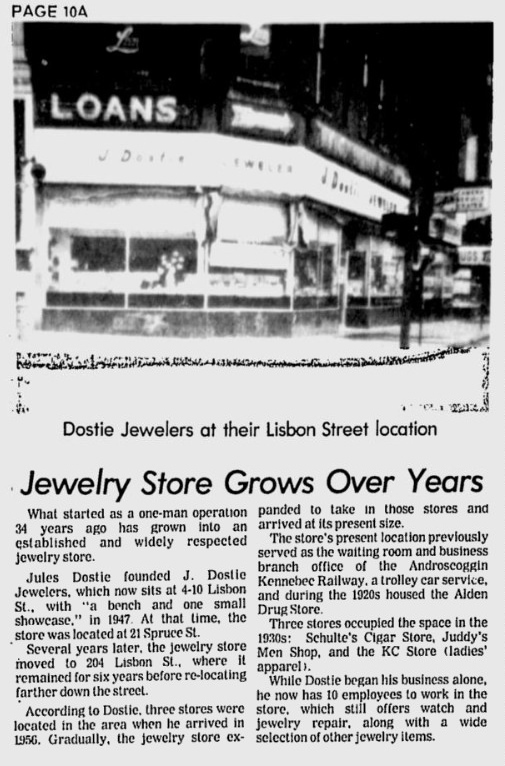 The standards established seventy years ago still remain the keystone of J. Dostie Jewelers, passed down through three generations of the Dostie family.